Cardi B Finally Addresses Nicki Minaj Beef: "I Spoke To Her Before"
Cardi has broken down the rumours. Cardi B has finally addressed her long-rumoured feud with Nicki Minaj during her latest interview. On the eve of her new album release, the ‘Bodak Yellow’ rapper discussed all aspects of her rumoured ‘beef’ with Nicki, including why they didn’t appear in the same scenes of Migos’ ‘Motorsport’ music video. She added: “I don't really have the time for that. If you not f*cking my man, or if you're not taking my money from me, if you're not stopping my money, then I don't really give a f*ck about you." Rumours of a feud between the pair heated up after their surprise appearance on Migos’ song ‘Motorsport’, which saw them both appear in the video - albeit different scenes. 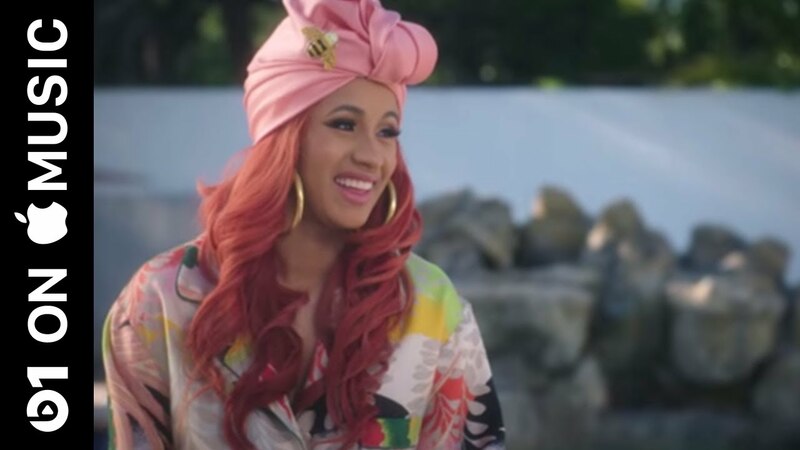 However Cardi B claims they have both met up and discussed their issues in private. Meanwhile, Cardi B has released her highly-anticipated new album ‘Invasion Of Privacy’, featuring Migos, Chance The Rapper, 21 Savage, SZA and more.